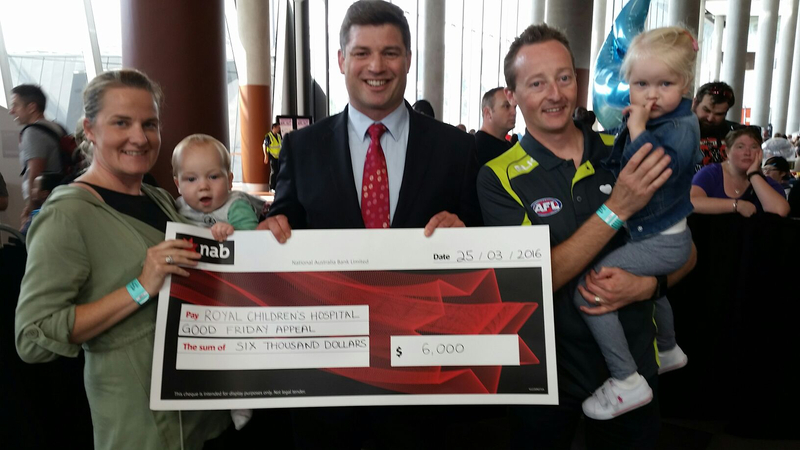 Grand final goal umpire Adam Wojcik and his family presented a cheque for $6,000 to the annual Royal Children’s Hospital appeal on behalf of the AFLUA. Adam spoke briefly about the Jeff Crouch Foundation that donates each year in memory of Jeff. Jeff of course was not only an outstanding umpire he was the RCH appeal director for more than 15 years. 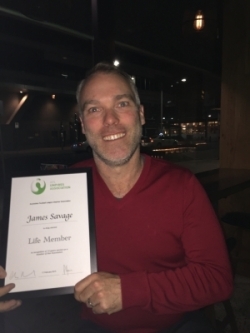 Adam, who is a key member of our executive team was proud to support the association and speak on it’s behalf. 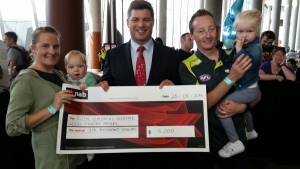 Pictured: AFL Goal Umpire Adam Wojcik, with wife Kristy and children Lachlan and Maddison.